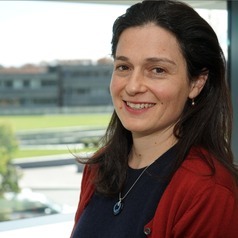 Over the past 20 years, Dr Danielle Einstein has supervised, taught and investigated the optimal delivery of cognitive behaviour treatment in university, hospital and private settings, including running treatment trials at Westmead Hospital. She has worked with adolescents for the past 6 years, developing an internet program for adolescents suffering with comorbid anxiety and depression together with Dr Carolyn Schniering and Professor Ron Rapee (funded by Australian Rotary Health) and writing three face to face programs for use in secondary schools. These form part of large research trials run at Macquarie University. Danielle's interest in the effects of uncertainty commenced with her work into treatment of magical and superstitious thinking associated with OCD. Danielle has edited a book on Advances in Cognitive Behaviour Therapy and her interest lies in developing treatments to alter fear of uncertainty based on ACT and CBT.